The origami magic rose cube is referred to as magic perhaps because a precut paper can be transformed into a beautiful rose in a few steps. Normally when folded properly, the rose can be transfigured into a box, which in turn opens up into the rose shape. 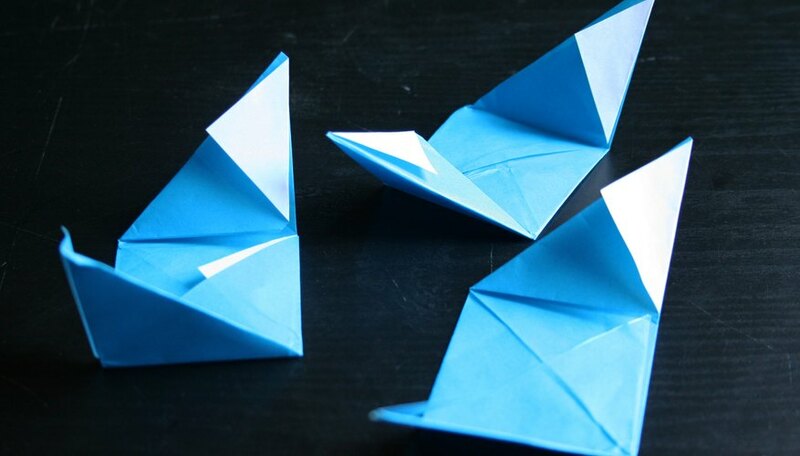 Origami itself is an art form and requires patience and practice to achieve skill. It is important to select the right type paper that will be able to withstand repeated folding and not tear or rip. On flat surface work area, take precut paper square, fold and crease in half and then unfold. Follow the center crease line as a guide. 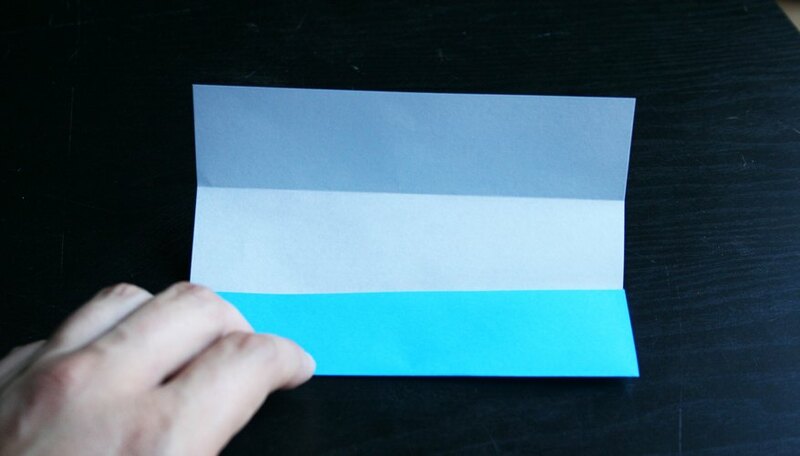 Take one side and fold to center fold line; rotate paper and repeat step by folding to half-crease line. You should have four horizontal crease lines when paper is fully opened. Open newly formed folds. With fold lines facing you, take lower right corner and fold on diagonal towards first top fold line and crease. The fold line above the center line represents the first fold line. Open fold. Take opposite upper left corner and fold on diagonal towards the bottom fold line and crease. The fold line below the center line represents the bottom fold crease line. You should have four horizontal crease lines and two crease lines on the diagonal. With exposed fold lines facing you, take bottom right corner and fold to crease line holding corner point. Take corner point and fold back towards closed fold line. The opposite bottom left corner will naturally stand. This indicates that you are folding correctly. Fold and crease. 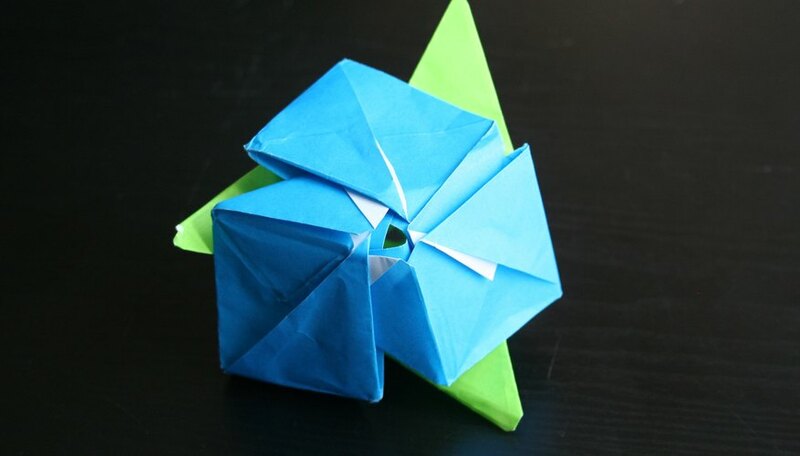 The origami paper will appear as if you have a center triangle insert. It is also important to note that one side of this new fold will be diagonal, not square. You may rotate paper and repeat step 3 or take opposite upper left corner point and repeat step 3. Once the diagonal folds are set, insert the new fold tabs into the opposite folds. 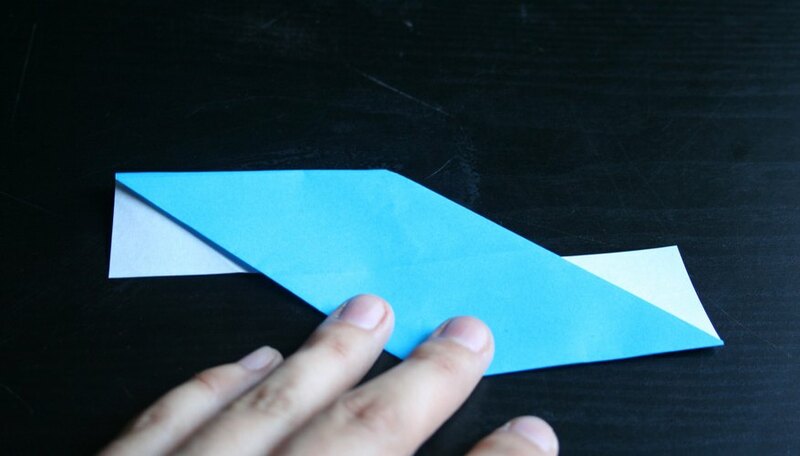 Open the first diagonal folds gently to avoid forming new crease lines. Insert paper into the first folded flap. Paper will have diagonal fold lines at center with points slightly sticking out on opposite corners. 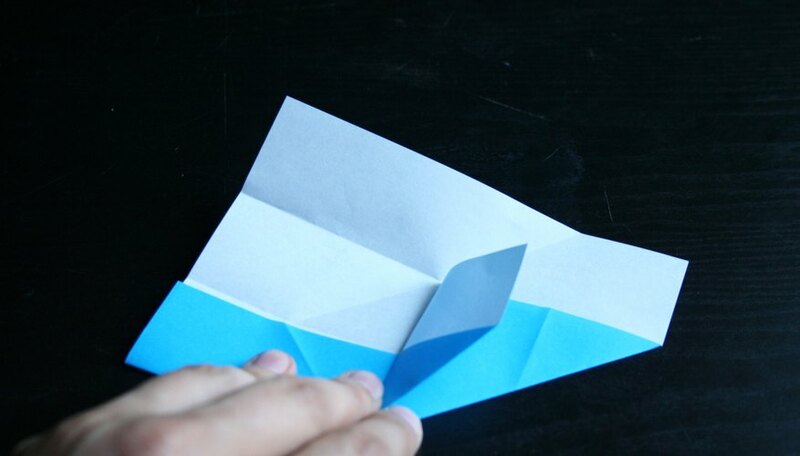 When you turn paper over, the opposite side looks flat with extended triangular shaped flaps. Fold extending tab corners to tuck and form square. Rotate paper and repeat process on opposite corner and fold up to complete square shape. Do not leave sheet as square; open square and repeat all steps for three sheets representing rose shape. The crease lines formed are very important to complete the project. The remaining three sheets representing leaves will be folded in the same way, except one corner will be folded on diagonal and tucked in. This will give you a v-shaped appearance on one end only. The difference in the fold pattern is that the rose shape has two extended tabs and the leaf shape has only one extended tab. 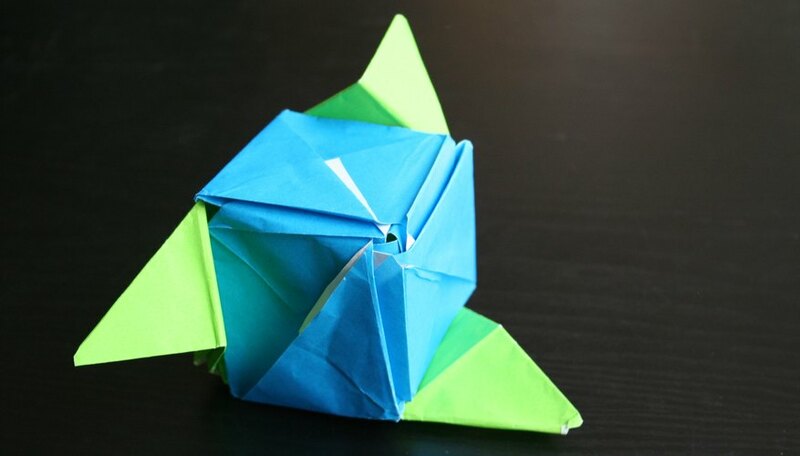 Turn over to flat side and fold extended tab up to form square-like shape. Do not leave folded; crease lines are important. 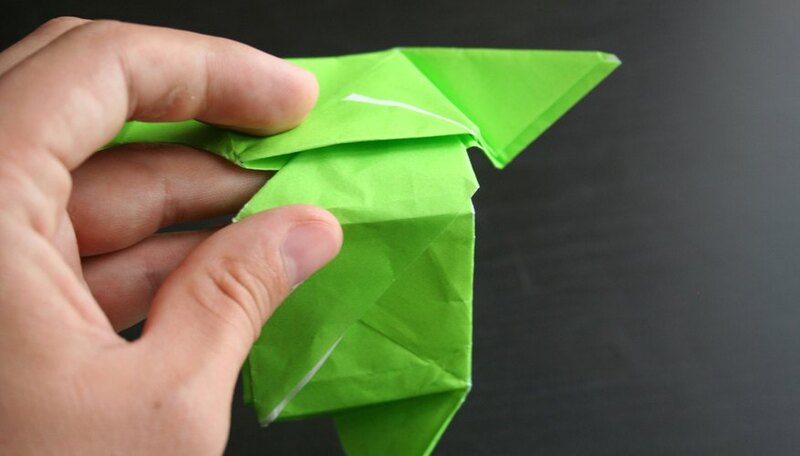 To assemble leaves, start with two folded sheets. Insert extended tab from one folded sheet into the second sheet's diagonal opening. The third sheet will be inserted into the first sheet's diagonal opening. The remaining tab will have to be gently bent into the last diagonal opening. Square shape center has extended tabs facing opposite corners. To assemble rose, repeat step 7. Note that rose sheets have two extended flaps. Insert into diagonal openings until square shape is formed. Extended tabs are inserted into open diagonal slots. Insert rose tabs into leaf tabs. The extended tabs will be slightly bent, not creased, in order to insert into diagonal openings to form a square box. Fold out extended leaf tabs to form three (3) leaves. The center rose square will fold out to form the rose shape. It is always best to make sure folds are creased. The sharper the crease lines, the easier the folding and unfolding process will be. Select two (2) seperate colors for project. For example: Select red, pink or yellow for rose. You will need three sheets. Select green for leaves. You will need three sheets. 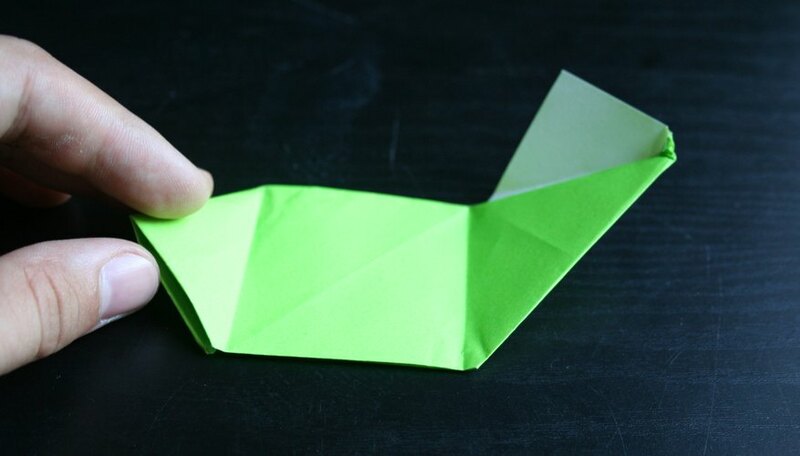 Practice a few times with paper scraps prior to folding origami paper. It is always best to not skip any steps when assembling projects. Glue stick is optional; with practice and project repetition, folding and paper inserting will become less challenging.